After months of stalemate, the group operating the Claude Moore Colonial Farm in McLean, Virginia, was unable to reach an agreement with the National Park Service. WASHINGTON — The operators of Claude Moore Colonial Farm, in McLean, Virginia — a historical park which depicted what life was like in 1771 on a pre-Revolutionary War tenant farm — have locked its gates for the last time. The cooperative agreement between the National Park Service, which owns the land, and Friends of Claude Moore Colonial Farm, the nonprofit organization that managed the living history’s operations and programming expired Friday, Dec. 21. The National Park Service doesn’t preclude the possibility that the land, in Turkey Run Park, could be operated as a historical farm by another group. However, that is only one option. “We’re focusing on the future,” said Jenny Anzelmo-Sarles, chief of public affairs with the park service’s National Capital Region. Elliott Curzon, director of the park had told WTOP in the days before the closing he didn’t hold out much hope for a reprieve. “The ‘thanks’ really goes to the volunteers and community members who ran and supported the farm over the years,” Curzon said. Shortly after receiving 330 acres of federal land in 1971, the Park Service designed an educational farm on Turkey Run Farm, to simulate how poor 18th-century farmers lived and worked. There is no indication a farm actually existed on the spot. In 1981, as budget constraints prompted NPS to consider closing the farm, a group called Friends of Turkey Run reached a five-year-agreement to raise money and offer programs. In 1986, the Park Service signed a 30-year-cooperative agreement with the Friends group, and the farm was renamed Claude Moore Colonial Farm, in honor of a Virginia benefactor, who died in 1991 at the age of 98. The Park Service and the Friends group signed several extensions since 2006, but in spring the friends were notified there would be no further extensions. According to Anzelmo-Sarles, the Friends group were offered the same standards that apply to thousands of other nonprofit groups that partner with the Park Service to manage resources and offer programs. Curzon had said conditions in the offer, including limits on items available for sale in the farm’s gift shop, were overly burdensome. In the past year, then-Rep. Barbara Comstock introduced a bill that would have transferred ownership of the land to the Friends group. However, a companion bill in the Senate was never introduced. Last week, Senators Mark Warner and Tim Kaine sent a joint letter to NPS acting Director Dan Smith and incoming Director David Vela, seeking a one-year extension. Warner and Kaine wrote “a win-win solution is possible here,” noting the farm’s operations cost taxpayers nothing. And while last week Curzon said “a Christmas miracle is needed,” none was forthcoming. With the animals now living on a private farm in Loudoun County, the Friends group has been removing its property from the premises, and will be granted access to complete the task over the next month. 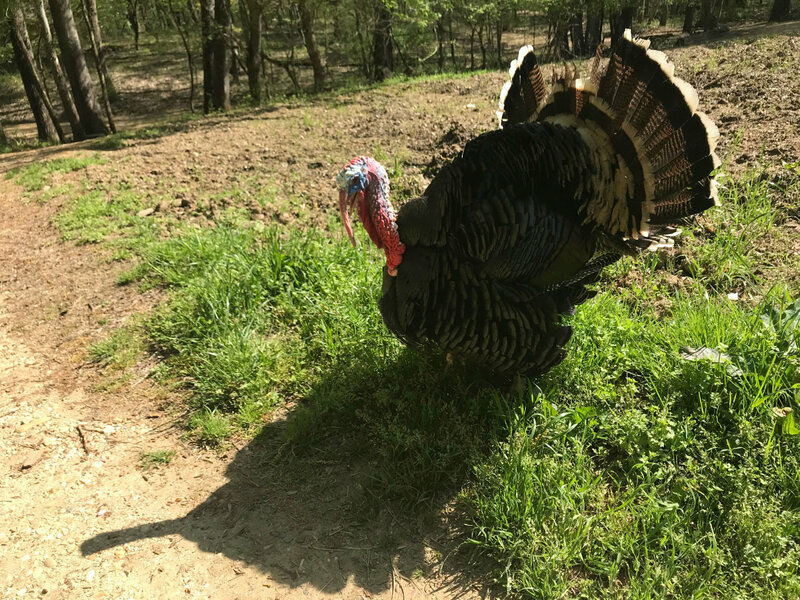 The National Park Service website for the Claude Moore Farm area at Turkey Run said the buildings on the property are closed, and is inviting the public to be involved in the land’s future. At least for now, the chance for people in the Washington, D.C. area to get an immersive look at the challenges and joys of life on a farm in 1771, is history.